Proteins are the fundamental building blocks of skin. Collagen is a protein comprised of long segments of amino acids arranged like a chain. When collagen breaks down, short segments of amino acids are formed. These are the tiny proteins and active molecules known as peptides. Without peptides, skin doesn’t remain intact and the results is loss of firmness, appearance of wrinkles, texture changes, and skin that doesn’t bounce back as it once did. What’s so fascinating about peptides is that abundant research has clearly shown they can help revitalize those building blocks and, in turn, help revitalize skin. For people searching for the best ingredients skin-care manufacturers have to offer, peptides are at the top of the list. The skin contains natural peptides, which contribute to the structural strength of the skin and keep it plump and firm. Pentapeptides (Matryxil), Oligopeptides and Copper Peptides work by stimulating the production of collagen and hyaluronic acid, two natural components of skin that people lose as they age. Neuropeptides (Argireline) act by affecting neurotransmitters in the skin. When this happens, nerve cells in the skin cease communicating and relax. The overall effect is that skin becomes smoother and wrinkles disappear. Peter Thomas Roth Unwrinkle Serum, for example, contains a cocktail of all the above peptides which penetrate the skin to address common skin-care concerns, including wrinkles, from the inside out. At The European Touch we are very picky when it comes to adding a brand to our lineup of skin care fit for our discriminating clientele. 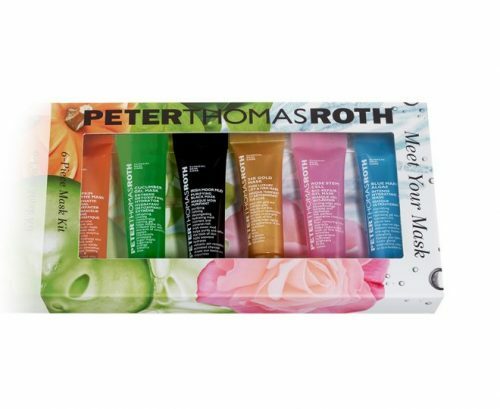 Peter Thomas Roth made the cut a long time ago and numerous clients are faithful users of the many products the line offers. Today we want to introduce the rest of you to this most outstanding brand. As the product formulator, Peter leads all research and development efforts to deliver progressive, cutting-edge products in his own lab and production facility. He scours the earth for the best and most powerful ingredients to deliver state of the art quality at effective concentrations. The brand philosophy is very simple: Breakthrough formulas. Astonishing results. I am sure many of you have heard of Unwrinkle Serum, this most innovative multi-peptide serum that took the market by storm a few years ago. The Unwrinkle family has since grown to number 8 “family members”, its popularity is still growing. Then there is the FirmX family, with 52% youth activating NeuroComplex™ helps to firm, contour, & brighten the look of skin; helps stimulate natural cell activity to help restore the appearance of skin’s elasticity, resilience, tone, and texture. The CamuCamu family of products with 30 times more Vitamin C than an orange, helps improve collagen, brighten, smooth firm, revitalize, improves the appearance of uneven skin tone, fine lines & wrinkles with intensive moisturization. The Laser Free family contains multiple plant extracts and plant peptides, helps regenerate, moisturize, firm, calm and brighten the appearance of dull, damaged, wrinkled, overexposed skin. The Retinol products with Professional Strength high-potency advanced 3% Retinoid helps even skin tone, smooth rough skin texture and reduce the look of fine lines and wrinkles. Acne and blemishes are taken care of with the Glycolic group and the Acne Products group. The product line currently consists of a comprehensive range of over 100 products sold world-wide. We only mentioned a few of the families of products that are offered in this effective and well researched brand. To top it all, the ultimate luxurious anti-aging treatment with pure 24K gold and colloidal gold to help lift, firm, brighten, smoothe and refresh the appearance of the skin. Time and time again Peter hears from customers that they love his products because they WORK! More than 15 state-of-the-art formulas have garnered sought-after awards from top prestigious beauty magazines. But don’t take their word for it – take your own. The results will astonish you. Cucumber Gel Mask 14ml – calming, cooling, soothing. Irish Moor Mud Mask 14ml – purify, decongest, hydrate. 24K Gold Mask 14ml – luxurious anti-age, firms and lifts the skin. Rose Stem Cell Bio-Repair Mask 14ml – anti-age, repairs dull, dehydrated skin. Blue Marine Algae Mask 14ml – deeply hydrating and nourishing gel mask. Take this opportunity to try out new products and get ready to be amazed! This is the first post in a series dedicated to skin care for the mature skin. So we decided to change products on the Mature Skin page every 2 months. 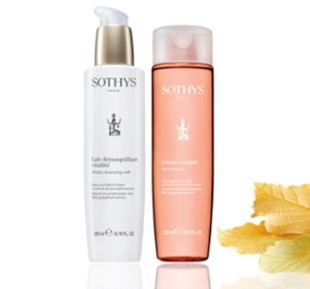 We will show six products, all from the same brand, all dedicated to the mature skin. This month we are featuring Ilike Organic Skin Care new Grape Stem Cell group. You may have heard or read about stem cells and the rejuvenating effects they have on the skin. Ilike Organics use 100% pure organic grape stem cells that have the ability to promote healthy cell production and protect against UV-induced cellular damage. In other words, grape stem cells help production of fresh new healthy cells, so the skin becomes refreshed, younger-looking. Even better, stem cells can reverse the effects of photo-aging and protect against UV damage to the skin. Visit our Mature Skin page and give yourself an early Valentine present: skin rejuvenating Grape Stem Cell by Ilike Organic Skin Care. * Do exfoliate three times/week. * Do use an eye cream. Our skin is a complicated structure, but today we’re only focusing on two basic components : oil and water. Oil, otherwise known as “sebum” is produced by tiny sebaceous glands. The job of the sebum is to cover the skin like a protective wrap against outside harmful elements, like bacteria, dust, pollution. Too little oil results in dry skin, while too much oil results in oily skin. Water is necessary for most of the body functions and is a very large component of every cell. Even if we drink enough for our body, the first organ to lose water content is the skin. This is why we need to moisturize in addition to drinking. Too little water results in dehydrated skin. This is skin that shows tiny scratches, almost like they were made by a fine needle, going in all directions. Chronically dehydrated skin will develop wrinkles regardless of age. OIly skin is very often dehydrated because of harsh, cheap cleansing products which strip the skin not only of too much oil, but also of precious water. Moisturizers are formulated to respectively suit oily and dry skin and using the wrong moisturizer can result in break outs (oily skin) or diminished but still present dehydration (dry skin). It is customary to use a moisturizer for day time because our various activities will invariably result in water loss. 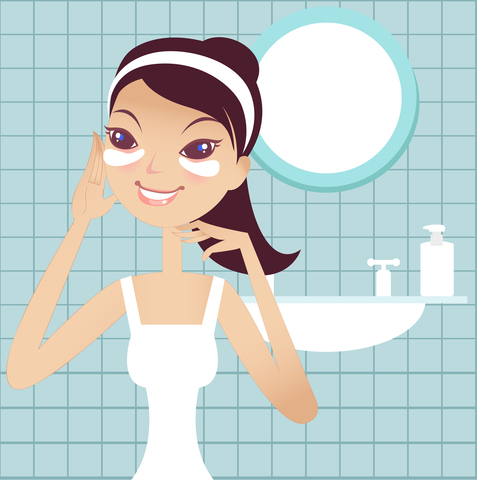 In addition to replacing water, moisturizers are also protecting the skin against water loss. Many moisturizers contain SPF, which saves us the use of 2 products instead of just one. The problem here is that SPF needs to be re-applied during the day and no one I know is ready to take off their make up in mid-day, just to re-apply moisturizer!! The solution is to use mineral powders with SPF and apply this several times a day. I look forward to your comments and questions. Have a great week!